Sutton caught all five of his targets, logging 42 receiving yards during Saturday's 17-16 loss to Cleveland. Sutton (quad) does not carry an injury designation for Saturday night's game against the Browns after practicing fully Thursday, Zac Stevens of BSNDenver.com reports. Sutton (quadriceps) was a full participant in Thursday's practice, Mary Kay Cabot of The Cleveland Plain Dealer reports. Sutton (quad) was a limited participant in Wednesday's practice, Mary Kay Cabot of The Cleveland Plain Dealer reports. Sutton (quadriceps) returned to practice Wednesday, Mike Klis of 9News Denver reports. Analysis: After playing through the injury for much of a Week 14 loss in San Francisco, the rookie wide receiver was held out of practice Tuesday ahead of Saturday's game against the Browns. It remains to be seen if Sutton was a full or limited participant Wednesday, though he should be on track to play either way. The Browns are likely to be without top cornerback Denzel Ward (concussion) for another week. Sutton sat out Tuesday's practice with a sore quadriceps, Nicki Jhabvala of The Athletic reports. Sutton caught two of six targets for 14 yards in Sunday's 20-14 loss to the 49ers. Sutton is primed to take over the No. 1 receiver role with teammate Emmanuel Sanders (Achilles) expected to miss the rest of the season, Adam Schefter of ESPN reports. Sutton caught four of seven targets for 85 yards and a touchdown during Sunday's 24-10 win over the Bengals. Sutton recorded one catch for 14 yards during Sunday's 24-17 win against Pittsburgh. 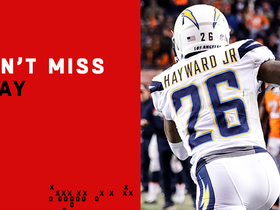 Sutton caught three of six targets for 78 yards during Sunday's 23-22 win over the Chargers. Sutton recorded three receptions for 57 yards during Sunday's 19-17 defeat at the hands of the Texans. 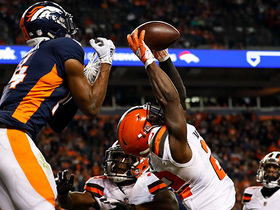 Sutton has moved up the Broncos' depth chart at wide receiver following the trade of Demaryius Thomas to the Texans, Troy Renck of Denver 7 News reports. Sutton caught three of four targets for 78 yards during Sunday's 30-23 loss in Kansas City. 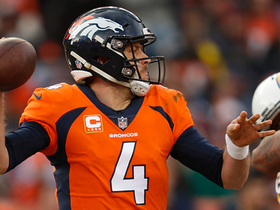 Sutton brought in one of three targets for 28 yards and a touchdown in the Broncos' 45-10 win over the Cardinals on Thursday. 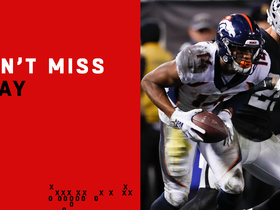 Analysis: Sutton and Emmanuel Sanders connected on a nifty 28-yard touchdown just before the halfway point of the first quarter, with the latter finding the rookie in the right side of the end zone after uncorking a pass on the run. Sutton has yet to record more than three catches in any game, but he's now scored both of his touchdowns over the last three contests. Sutton will look to make a bigger impact against the Chiefs in a Week 8 divisional showdown. Sutton caught three of four targets for 58 yards during Sunday's 23-20 loss to the Rams. Sutton (ankle) returned to a full practice Thursday. Analysis: Sutton is thus good to go against the Rams on Sunday. 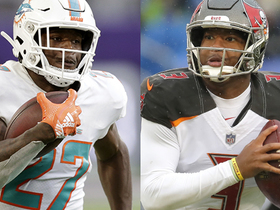 The second-rounder's stock is creeping up following back-to-back six-target outings, but as long as Demaryius Thomas and Emmanuel Sanders are ahead of Sutton in Denver's wideout pecking order, the rookie -- who logged a 2/18/1 stat line in Week 5 -- will remain a hit-or-miss fantasy option in deeper leagues. Sutton was a limited practice participant Wednesday due to an ankle injury, Aric DiLalla of the Broncos' official website reports. Sutton caught two of six targets for 18 yards and a touchdown during Sunday's 34-16 loss at the Jets. Sutton caught three of six targets for 51 yards in Monday night's 27-23 loss to the Chiefs. Sutton caught two of three targets for 37 yards during Sunday's 27-14 loss in Baltimore. 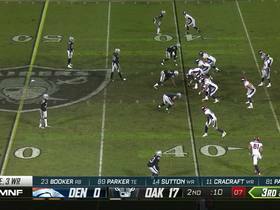 Sutton hauled in one of six targets for nine yards during Sunday's 20-19 win over Oakland. Analysis: The celebration was on, but Sutton's would-be first career touchdown was called back after officials opined that his foot scraped the white prior to establishing possession. There should be more opportunities forthcoming: Sutton ended the game with 54 offensive snaps, the same amount as Emmanuel Sanders. Sutton is not only the established No. 3 in Denver, but with 98 targets in two weeks, he's logging starter-level snaps. Sutton nabbed two of five targets for 45 yards during Sunday's 27-24 win over Seattle. Analysis: Sutton looks to have solidified the No. 3 job in Denver, logging 44 offensive snaps to DaeSean Hamilton's 14 and Tim Patrick's nine. He has some refining to do after coming out of SMU's simplified offense, but he looks to have a role as a downfield threat. Both of his catches went for at least 20 yards. Sutton caught all three of his targets for 45 yards in Friday's preseason game against Washington. Sutton caught one pass for 16 yards and a touchdown during Saturday's preseason game against the Bears. Sutton hurt his knee during Wednesday's practice, but he appears to be OK, Mike Klis of 9News Denver reports. Analysis: While the injury isn't believed to be significant, it won't come as any surprise if Sutton is held out of Thursday's practice and/or Saturday's preseason game against the Bears. The second-round pick is competing with fellow rookie DaeSean Hamilton for the No. 3 receiver job, though Sutton could have a role as a pass catcher in the red zone even if he loses the job battle. Sutton grabbed a three-yard pass during Saturday's 42-28 preseason loss to Minnesota. Analysis: Denver was reportedly working more on concepts and situations than implementing a full-scale game plan against the Vikings. 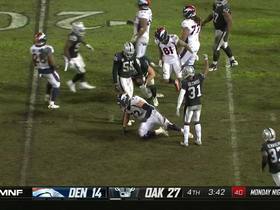 That makes much of what happened Saturday hard to judge, but the fact that he was targeted three times to fellow rookie DaeSean Hamilton's one is worth taking note of in the Broncos' battle for the No. 3 receiver job. 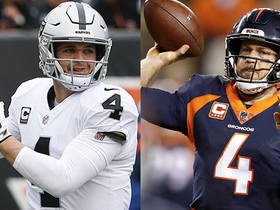 Sutton is likely to be Denver's No. 3 receiver in the red zone, Benjamin Allbright of 104.7 FM Denver reports. Analysis: Such an arrangement would leave the No. 3 job for DaeSean Hamilton when the ball is in the middle of the field, making him the better bet to draw targets on a weekly basis. Of course, Sutton would be getting the high-value opportunities, and he'd probably also see a bit of playing time outside the red zone. It's hard to imagine a timeshare leading to steady fantasy production for either player in a receiving corps led by Demaryius Thomas and Emmanuel Sanders. Sutton has been boxing out defensive backs early in training camp, Cecil Lammey of 104.3 The Fan reports. Analysis: Early reports are positive for Sutton, who has flaunted his big wingspan and reliable hands. For a team without a clear No. 3 at wide receiver, a player with Sutton's skills offers unique matchup issues in spread-out sets. Despite his size, Sutton is quicker than fast, so he'll need to polish his route-running before he is a true every-down threat. While it's still early, the No. 3 job likely will come down to a competition between Sutton and fellow rookie DaeSean Hamilton. 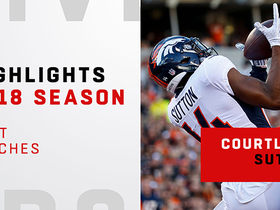 Watch the best catches from Denver Broncos rookie wide receiver Courtland Sutton from the 2018 NFL season. 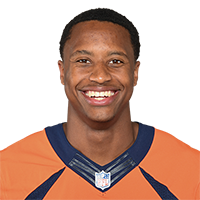 Watch the best catches from Denver Broncos rookie wide receiver Courtland Sutton for the 2018 season. Denver Broncos wide receiver Courtland Sutton catches a 20-yard pass from quarterback Case Keenum.